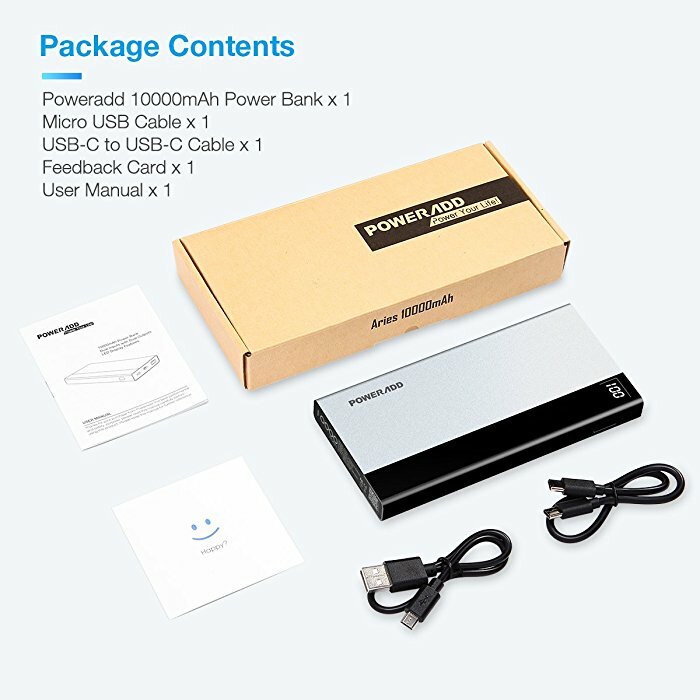 Poweradd Aries 10000mAh power bank has an integrated digital LED display which can accurately show the charging level and remaining battery power for your devices. 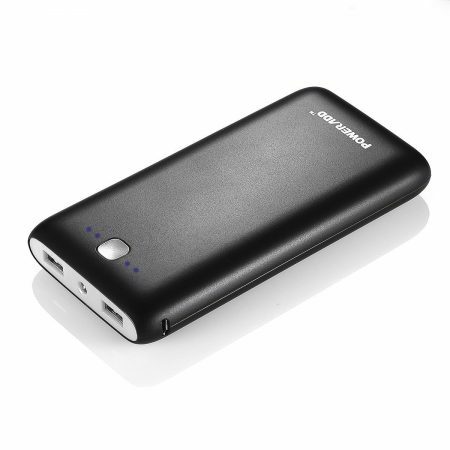 This portable power bank has a high capacity 10000mAh. The high capacity power bank store a large amount of power safely as backup use. 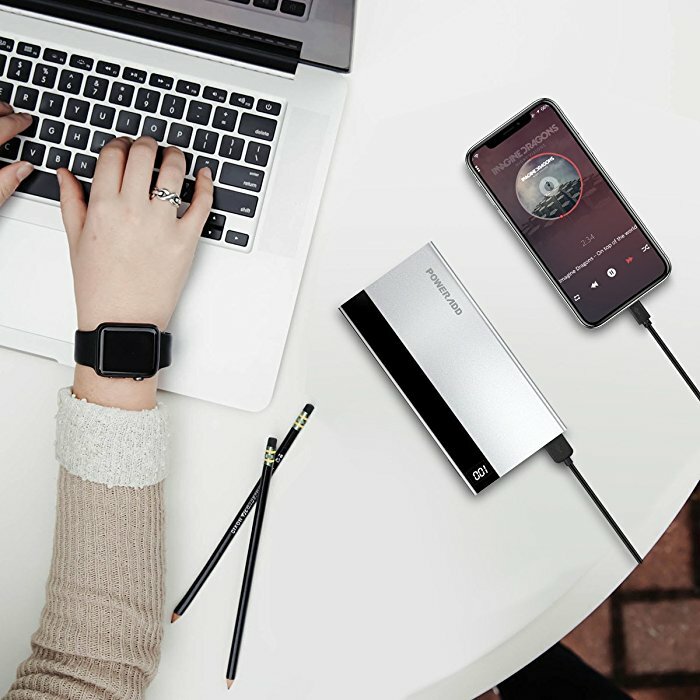 High Power Performance: When this power bank is fully charged, it’s able to give 4 charges to an iPhone, or a few charges to other smartphones. 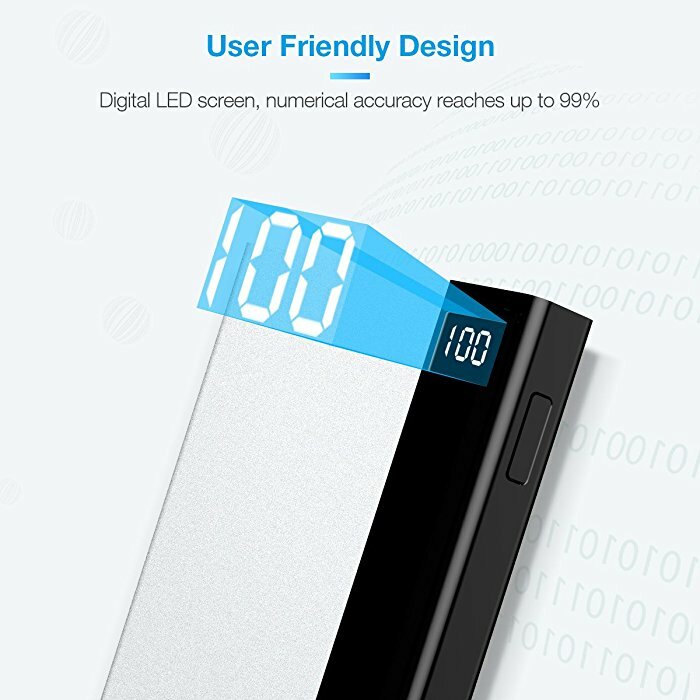 The LED display power bank has a USB-C port design. 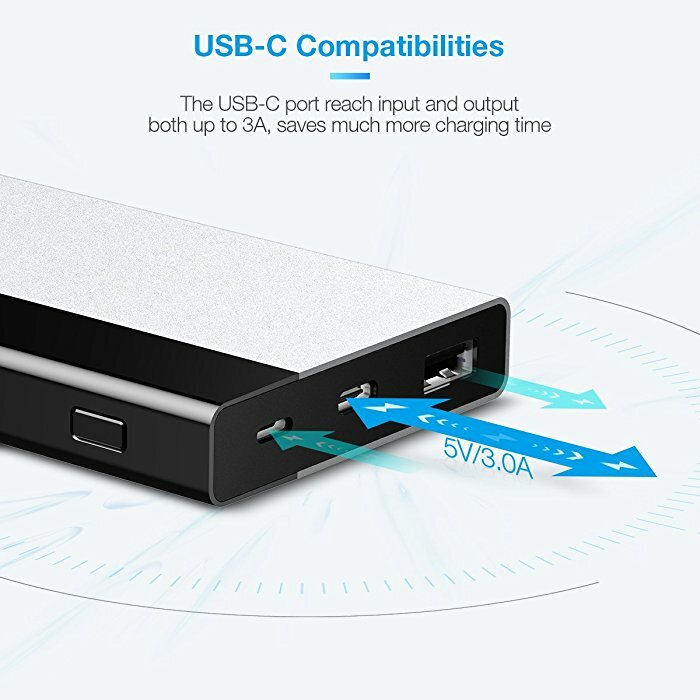 The USB-C port works as both an input and output port, making it greatly convenient to charge USB Type C devices. 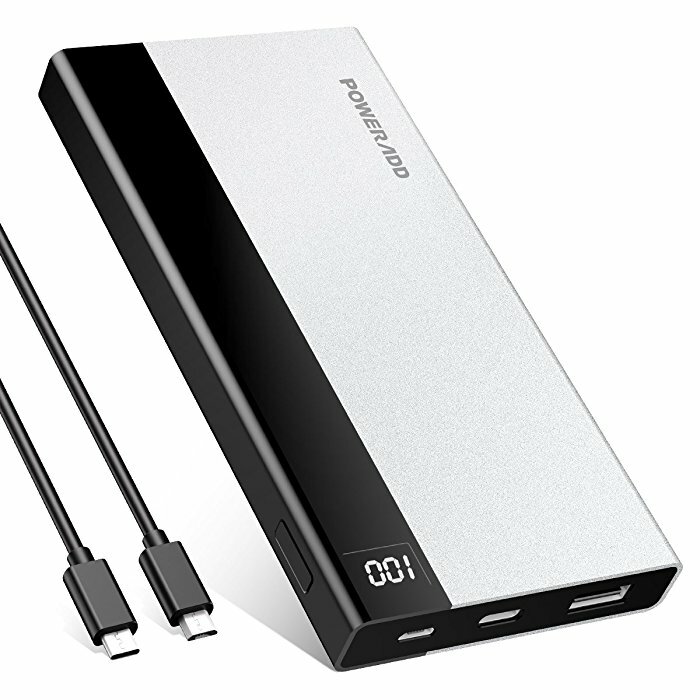 It comes with a USB-C charging cable too. 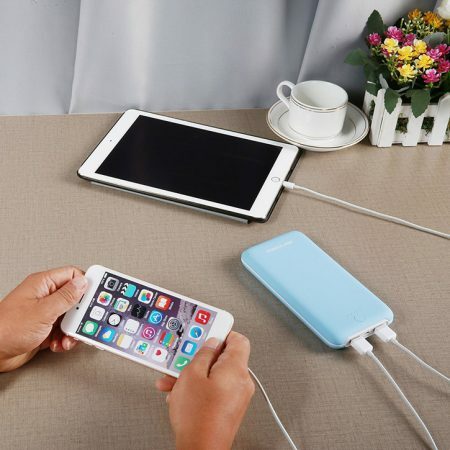 The safe power bank allows you to charge your devices quickly with full protection from overload, overheating and short-circuit. 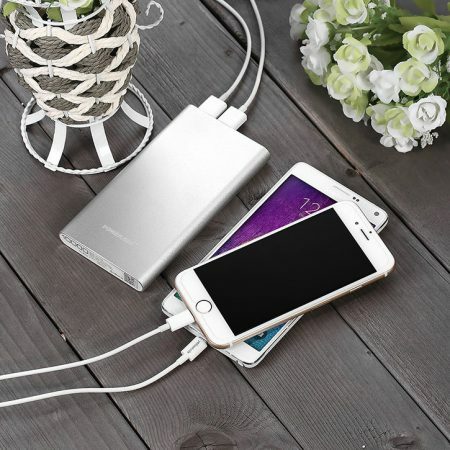 This fashionable portable power bank has a sturdy build and compact design to be extremely durable and portable for convenient everyday use. 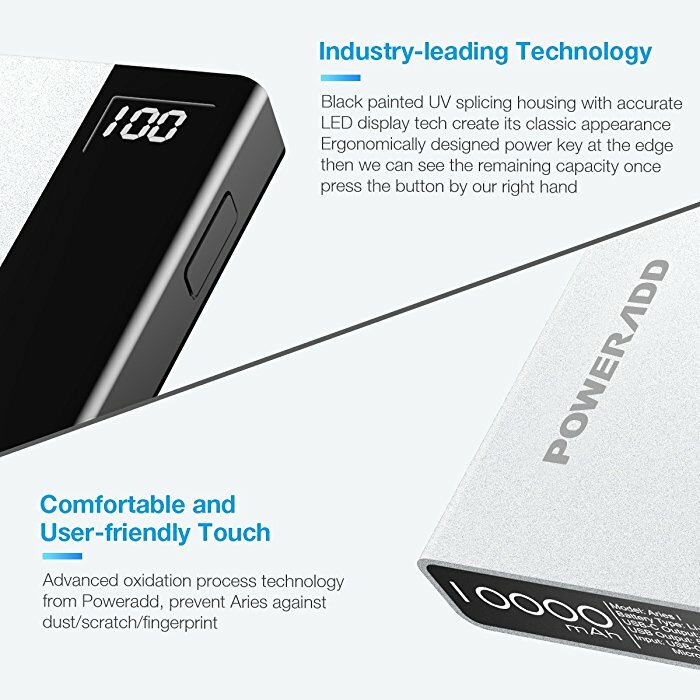 This typical 10000mAh high capacity power bank fits in palm perfectly with great ergonomics in design. 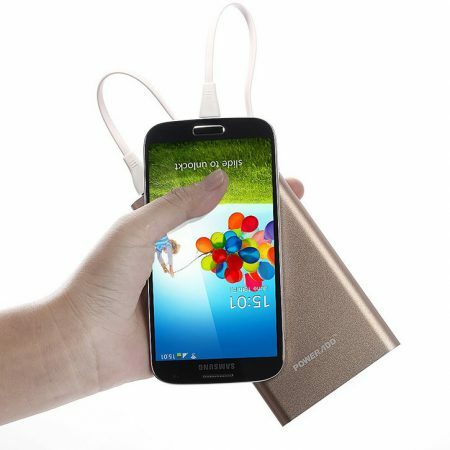 The user-friendly design allows you to hold in hand comfortably and carry around without feeling too much weight. 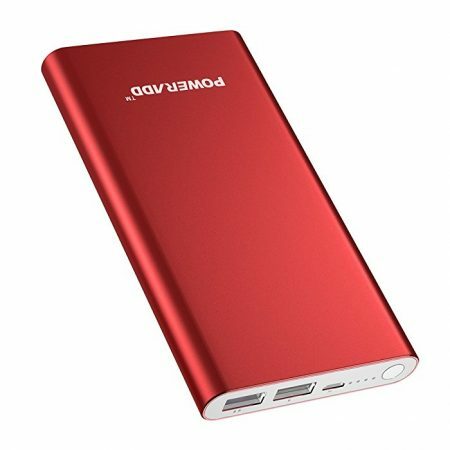 This fashionable power bank has a beautifully finished housing which is sturdy and exquisite. 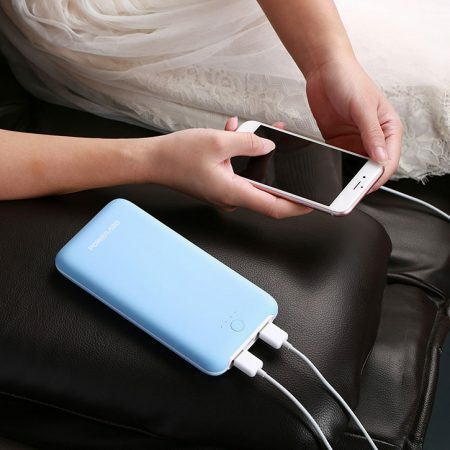 You can enjoy quick charges with Poweradd Aries Charger. 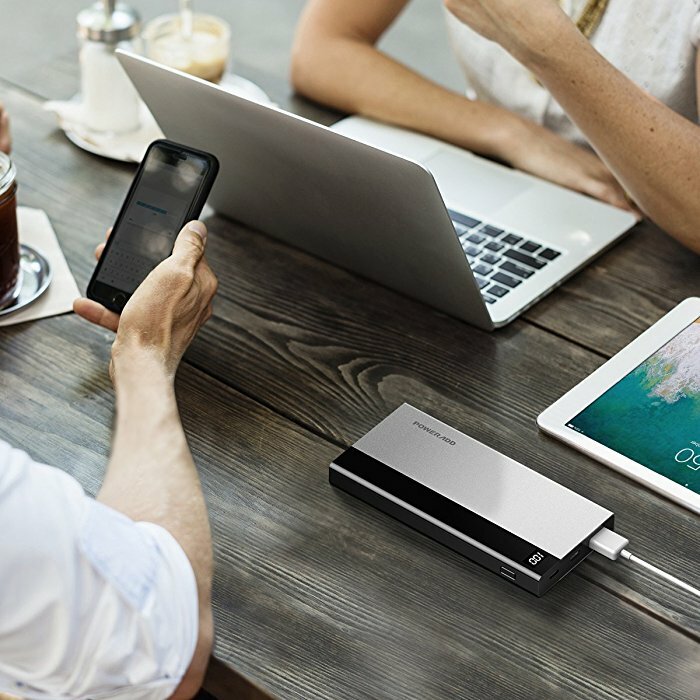 With USB-C Input & Output 5V/3A for the maximum charging current, you can get your moible phone quickly fully charged. 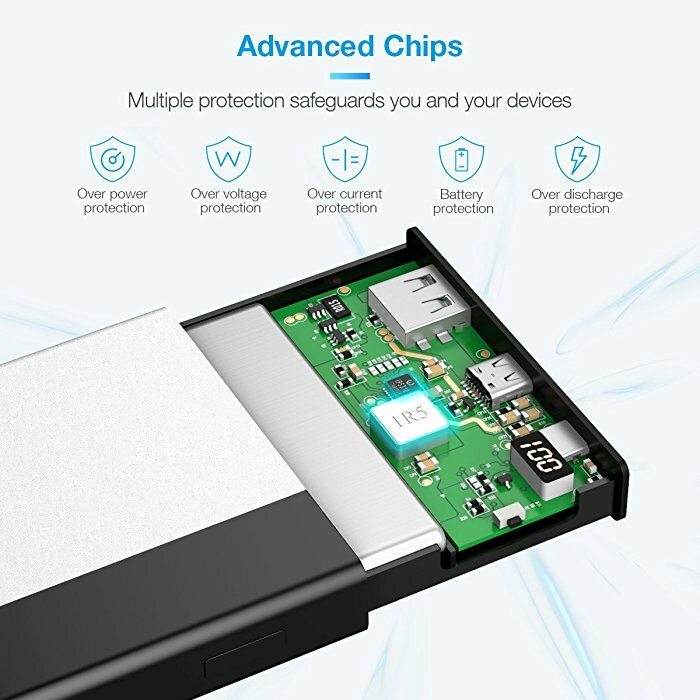 Poweradd uses advanced built-in charging chips to ensure safety and efficiency for quick, stable charging.